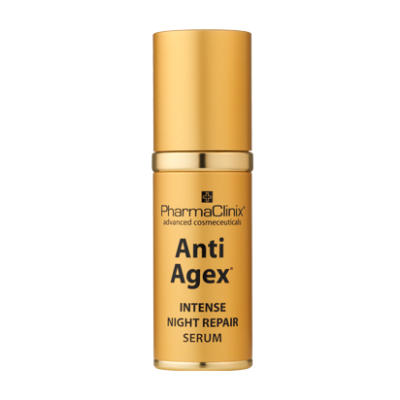 Anti Agex® is the complete Anti-aging night serum. 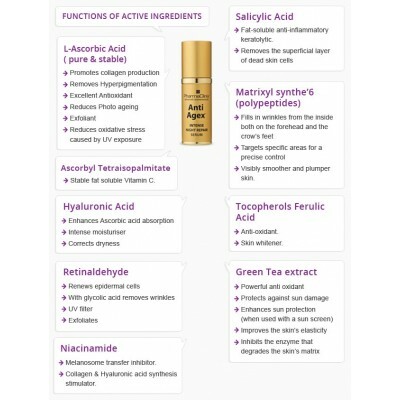 It’s the Professional strength Vitamin C serum with Retinaldehyde, Niacinamide, Salicylic Acid, collagen polypeptides, Tocopherols & Green Tea extract. It is particularly effective for Asian & darker skins as it not only reduces the wrinkles, but reverses sun-damage too. Anti Agex® is also the perfect priming serum for dermarolling, microderm-abrasion, laser or peels.